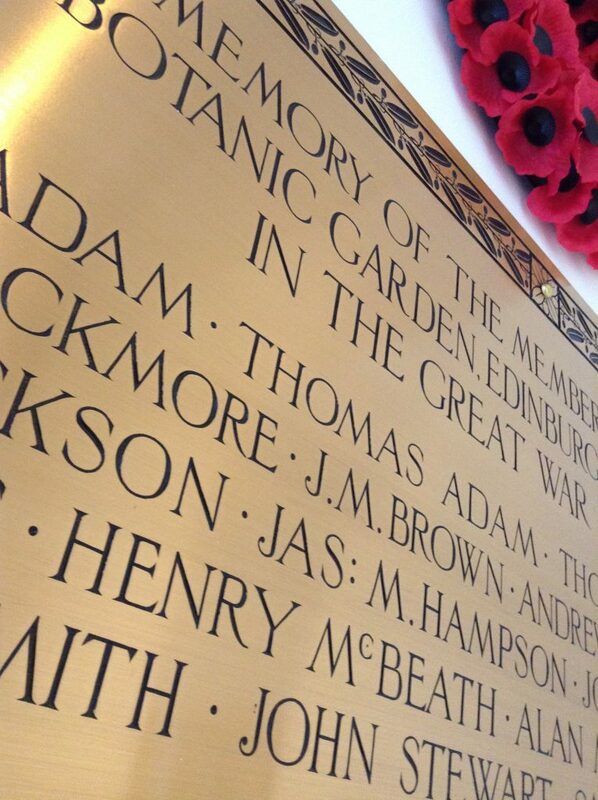 McBeath’s name on the RBGE war memorial, 20a Inverleith Row. Henry McBeath was from Rogart in Sutherland, born in November 1878 to James McBeath, a farm grieve (foreman) and his wife Johan from Rovie, a farm in Rogart – perhaps the same farm James worked on? Presumably farm life did not appeal to Henry, or perhaps the opportunities he was looking for were not there; he was working as a mason in Rogart in 1901, but it may be that he wished to work with horses, as he enlisted in the 31st Battalion of the Imperial Yeomanry, a mounted unit known as Fincastle’s Horse, to fight in the Second Boer War in South Africa in 1902, when McBeath was in his mid 20s. 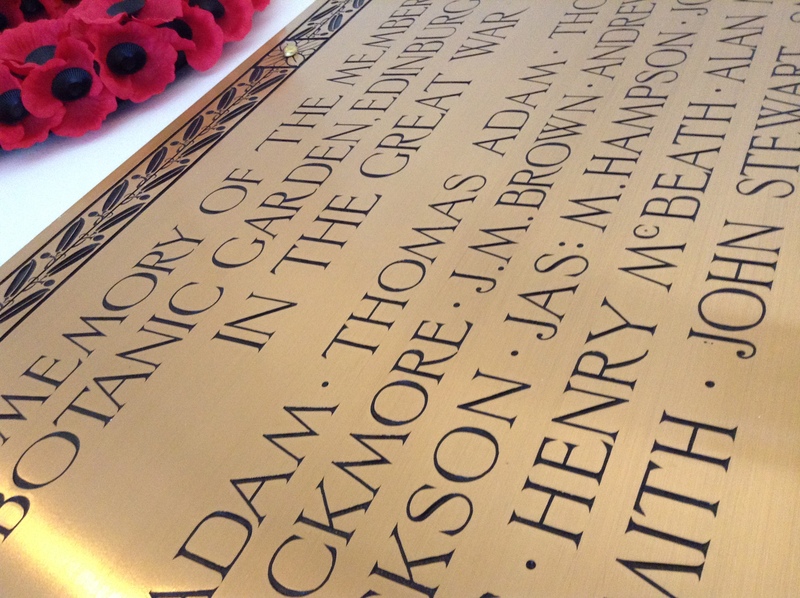 After this war, McBeath finds himself in Edinburgh, where he finds employment as a stoker at RBGE. This arduous job would have included being part of the team keeping the fires in the glasshouse boilers going, day and night to ensure the survival of the heat loving plants grown in there. At the outbreak of the First World War and approaching his 36th birthday, McBeath enlists again on the 4th September 1914, this time serving as a Corporal in the 2nd/1st Scottish Horse Yeomanry. This battalion formed in September 1914 and remained in the United Kingdom of Britain and Ireland, moving throughout the war to Kettering in Northamptonshire, Alford in Lincolnshire and Ladybank in Fife after it became a cyclist unit, before finally moving to Limerick in Ireland in April 1918 as part of the effort to quell revolutionary actions against the British in the south of Ireland, where it remained for the final months of the war. 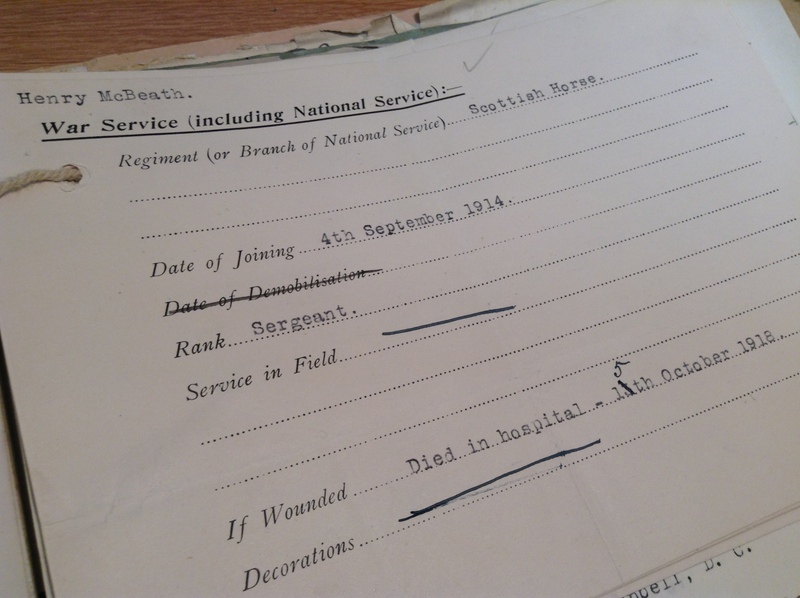 McBeath’s service summary held in the RBGE Archives states that he died in hospital on the 15th October 1918, and cemetery records of the King’s Island Military Cemetery where he is buried show that four of his colleagues from the Scottish Horse died at around the same time. Not finding any records of any military action in Limerick at the time I was curious as to what happened; if they didn’t die of wounds, then what? Disease is the obvious next choice, and of course, there was an Influenza Epidemic rife in Europe at the time. A search revealed an article written by Des Ryan in the Winter 1996 edition of the Old Limerick Journal about the Great Influenza Epidemic that struck Limerick between 1918 and 1919. He describes the virus coming in two waves, the first, at the end of June 1918, being a milder type leading to lack of energy, aching pains, increased temperature, no appetite and a sore throat, head and stomach; incapacitating the patient. The second wave was far more severe with the same symptoms as the first, but with a patient quickly developing infected lungs leading to bronchial pneumonia or blood poisoning. Often the patient would turn purple. This second wave took hold towards the end of October 1918, which fits. A later article published in Winter 2011 in the Old Limerick Journal, by Tom Toomey states that Limerick’s first definite ‘Spanish Influenza’ victim was Constable Thomas Ashe, who died on the 15th October, and that his death was followed by a number amongst the British Miltary battalions established in the city, first within the Scottish Horse in October, followed by a larger number from the Royal Welch Fusiliers in November. McBeath’s was the first of these deaths, on the same day as Thomas Ashe. It was believed that troops returning to Limerick from the Western Front brought the virus with them, and the large numbers dying in the Military Hospital fits in with this. 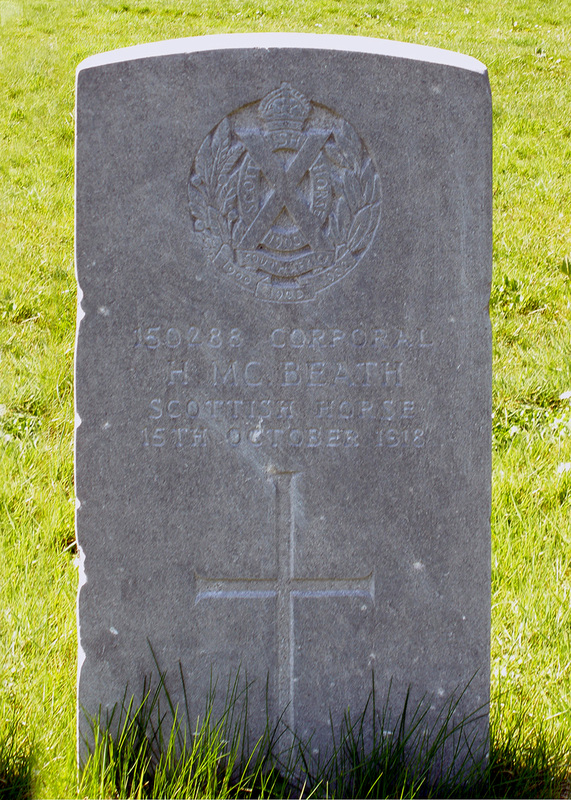 Photograph of McBeath’s grave at King’s Island Military Cemetery, Limerick courtesy of the War Graves Photographic Project. McBeath’s entry in the Register of Soldier’s Effects found on ancestry.co.uk gives us information that corroborates the above; that he died in a military hospital after suffering an illness and a war gratuity was paid to his widow, Susan. More information about the illness is given in Limerick’s register of deaths: that Corporal Harry McBeath, from 42 Belford Cres Edinburgh (an address I cannot find on any contemporary map) died in the Military Hospital on the 15th October 1918 of pneumonia he’d suffered from for four days. No mention of influenza, but one wonders if the absence of the word guarantees the absence of the illness? McBeath is buried alongside 38 other military graves in King’s Island Military Cemetery in Limerick, Ireland. We will remember him. Thanks are due again to Garry Ketchen for doing much of the background genealogical work, to Steve Rogers at the War Graves Photographic Project for giving permission to use the image of McBeath’s grave, and to Sharon Slater of Limerick’s Life for her webpage about the King’s Island Military Cemetery and the information she kindly passed to me about McBeath and his colleagues in the Limerick death registers. After this Story was posted, I was contacted by Christina Perera of the Rogart Heritage Society and I’m delighted to say that not only did she have more information about Henry, but she was also able to supply us with a photograph of him showing that, presumably in the years between the Boer War and McBeath becoming a stoker at RBGE prior to the outbreak of War in 1914, he was a Constable in the Edinburgh Police – the medal they are both wearing might be an Edward VII Coronation medal dating to 1902? He may have been inspired to join the police by his brothers, one of whom was a police officer in Helmsdale and Inverness whilst another was a prison warder at Peterhead. It is believed he also had a son called James. It’s good to know that these blogs are not the end of the story and that more continues to be discovered – I’ll update here if we discover anything more – thanks Christina! Really great research, You do Corporal McBeath a service. A really excellent piece. Thank you! I am interested in Henry McBeath, for both his Rogart origins and his WWI service. 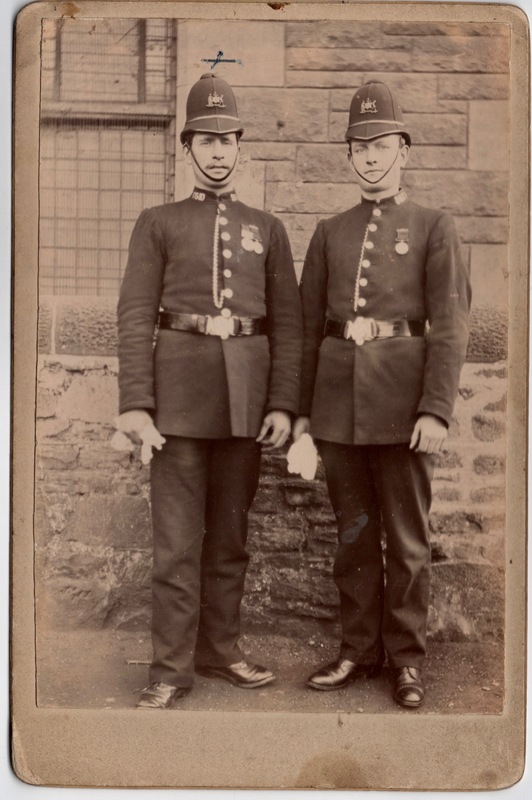 We (Rogart Heritage Society) have recently been given some photographs and one includes Henry McBeath in a police uniform. I wondered if you had come across him joining ? Edinburgh Constabulary. I will happily send you the photo and other info if you are interested?